SSL VPN Tunnel Performance on Vigor 2960/3900 has been improved with the new firmware version 1.0.9. 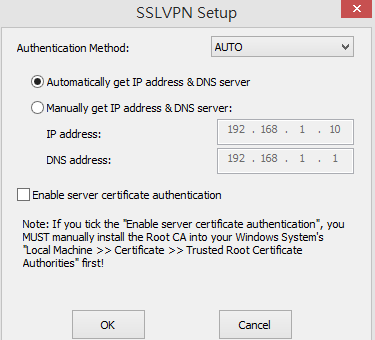 This document introduces how to setup SSL VPN Tunnel on Vigor2960/3900 and how to create SSL VPN Tunnel on Windows Smart VPN Client. 1. Go to VPN and Remote Access >>Remote Access Control to check if SSL Tunnel Service is enabled. 2. Go to System Maintenance >> Access Control, and select Enable for HTTPS Allow. 3. 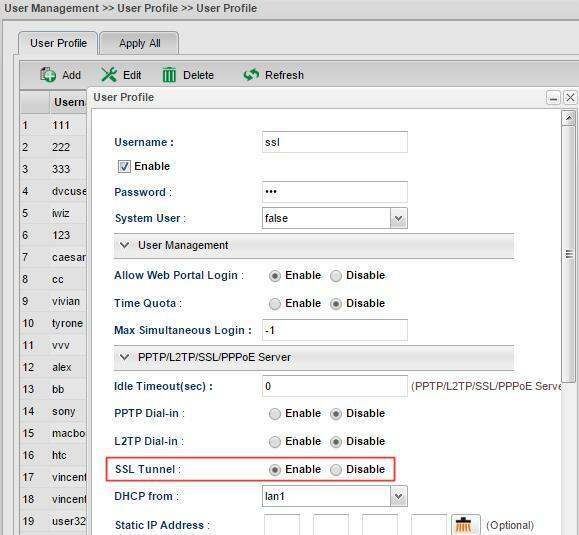 Go to User Management >>User Profile, click Add to create a new User Profile with SSL Tunnel enabled. Enter VPN Server IP or Hostname as the IP/Hostname of Vigor3900. 2. 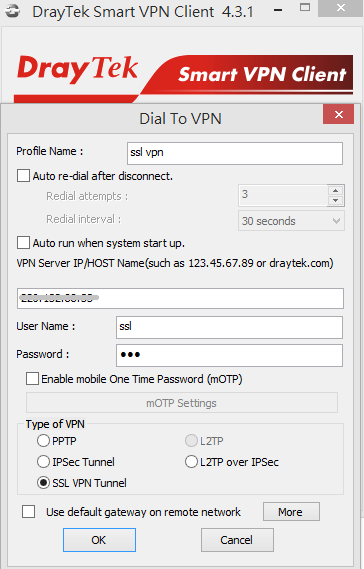 Select Authentication Method as AUTO and select “Automatically get IP address & DNS server” then click OK.
3. 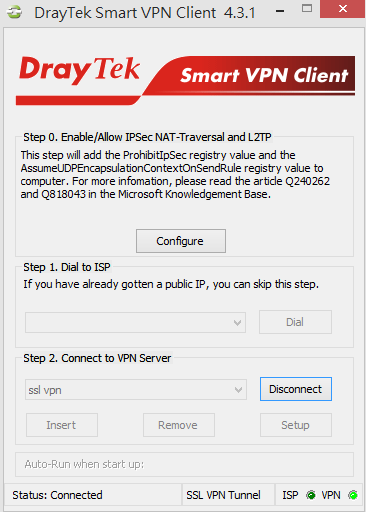 Click Connect to establish SSL VPN Tunnel.